Upcoming: Three Days of Cheese! There’s this wonderful thing in the Bay Area called The Cheese School of San Francisco. They offer classes and tastings year-round, but twice a year they offer a three-day intensive course for cheese professionals. It just so happens that two very lucky Seattle cheesemongers are attending the school’s March course, and I happen to be one of them. Since we are studying to take the American Cheese Society’s Certified Cheese Professional exam this year, we’re snatching up any opportunity for education that we can get our cheesy mitts on. Also, any chance to get back to the Bay Area is something this Berkeley alumna will take in a heartbeat. The Cheese School is a neat concept. The faculty lists instructors from all over the place who rotate through, teaching different classes. This panel includes big names in the cheese sphere, like Waldemar Albrecht, Zoe Brickley, Sasha Davies, Gordon Edgar, Janet Fletcher, Anne Saxelby, and Laura Werlin, to name just a few. They teach cheesemaking, cheese tasting, and cheese pairing. Some of the foci include “Cheese and Wine 101,” “Made in the USA,” “Italian Salumi,” “Basic Cheesemaking,” “Cheeses of Spain and Portugal,” ”Opening a Cheese Shop by the Numbers,” and so forth and so on. The calendar of events is a dream for anyone passionate enough about cheese. 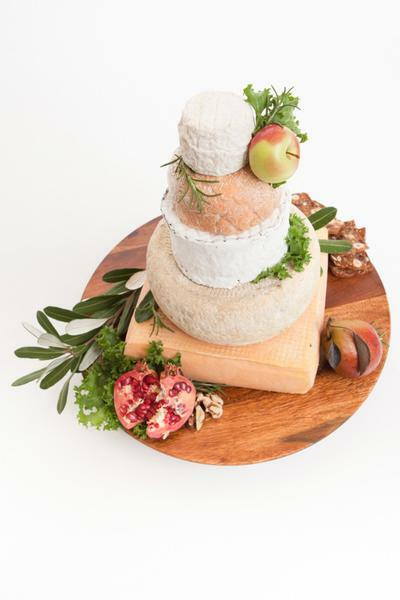 The school also does catering and hosts private events, offers party platters, gift baskets, and gift packages, and makes cheese cakes (the kind made out of wheels of cheese stacked atop each other, not the baked kind). They sell cheesemaking supplies and adorable greeting cards. It’s a concept I wish we had up here in Seattle, but I’m happy to take advantage of it on the same coast. The class we’ll be taking is taught by Juliana Uruburu of Market Hall Foods, and will take us through lots of cheese knowledge including tasting, pairing, cheesemaking, and business. You can be sure I’ll provide a full report. What Makes a Cheddar Cheddar?